Built in order to maximise the synergies among the different souls of the compound, Polo Meccatronica fits in with larger promotion and urban regeneration measures. 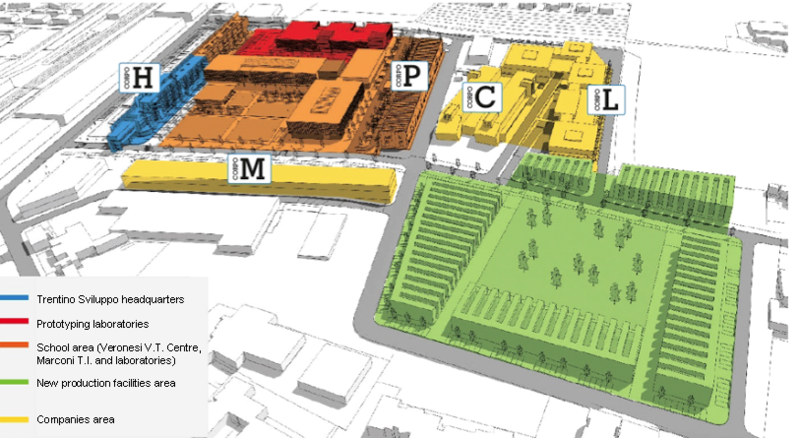 The masterplan, drafted by the City Hall of Rovereto, enhances the mainstreaming among businesses, schools and research centres in order to strenghten the participation of citizens within the project. Polo Meccatronica will engage constructively with the rest of the city through effective public transport and a functional traffic system, together with green open air spaces, that will be available to the whole community (park, boulevards, etc. ).